Substantial plantations, most of them self-sufficient, surrounded the town of Berlin. 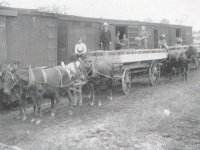 Horses and oxen were used for hauling produce to shipping points and delivering manufactured products and supplies back from town to the plantations. Although other towns benefited from the rivers of the Eastern Shore as conduits of trade, Berlin’s location on an elevated strip of land, virtually free from water obstructions, served the town well. Its site facilitated surface transportation up, down and across the Delmarva Peninsula. 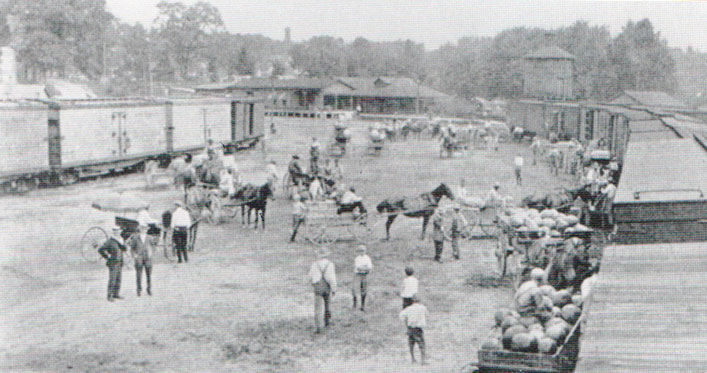 Stage coach lines were established for people traveling between connecting points on The Eastern Shore and Philadelphia. In the early 20th century, people arriving at The Atlantic Hotel were coming on horseback, carriage, train or the new ”horse-less” carriage, the car. However, most people were still dependent on livestock or their own two feet. 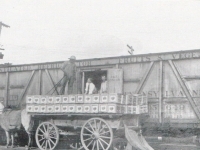 The railroad had come to Berlin in the mid-19th century and brought visitors, including salesman called “drummers’ who traveled around the county by horseback and/or horse and buggy taking orders from country stores and peddling their wares. 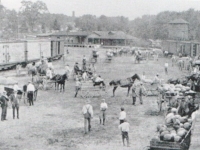 The Atlantic Hotel provided a horse-drawn bus which met travelers at the railroad station and delivered them to the hotel where they could rent a horse or buggy for their individual traveling needs. 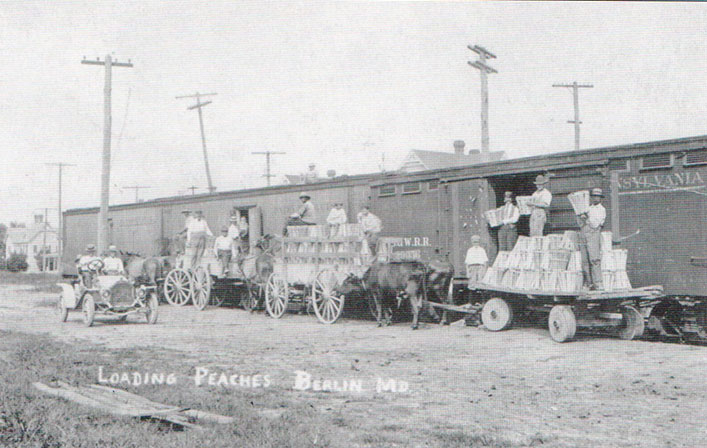 Horse-driven wagons of peaches were delivered to the railroad sidings for loading into railroad boxcars for Harrison’s Nurseries, a recently established business at the end of the 19th century. 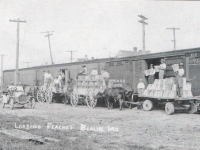 Harrison Nurseries started as peach growers in 1884 and escalated into a nationwide nursery catalog business, one of the largest in the country. Also Harrison Nurseries developed into one of the largest tree and vegetable nurseries on the peninsula. 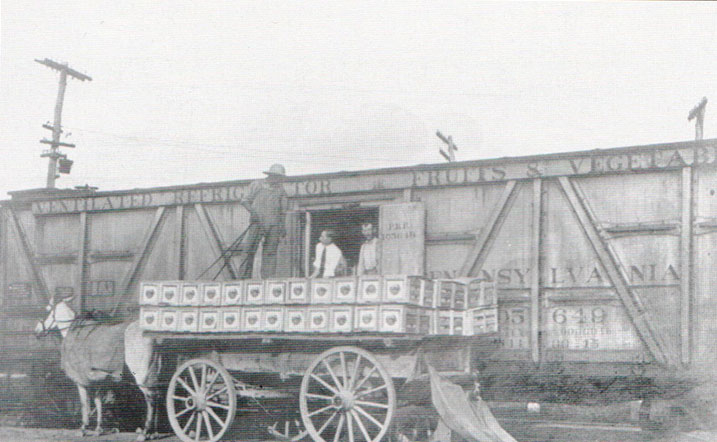 For most of the years the nursery enjoyed success as one of the country’s largest growers, the produce was delivered by horse and wagon. 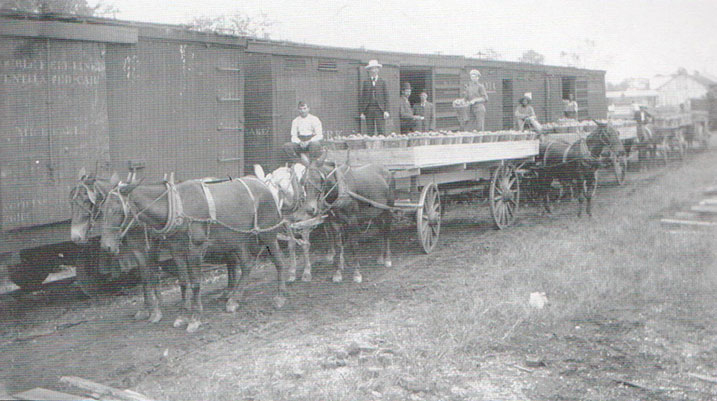 Their transportation from plantation to rail depended entirely on their horse-drawn wagons. 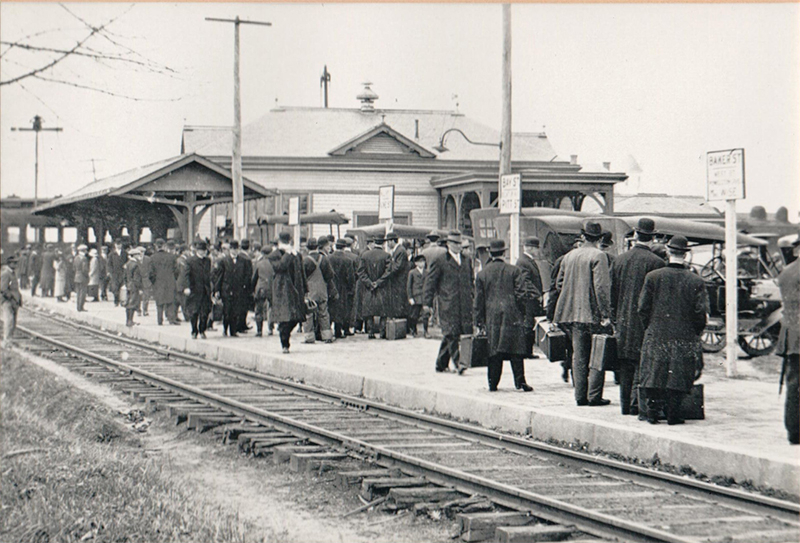 Union Station in Berlin was utilized by travelers on their way to Ocean City. 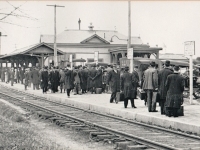 When trains arrived at the station, horse & carriages were waiting to take the vacationers into Ocean City, which had been opened to land traffic by the extension of the east-west line by 1876. This was a profitable business for the carriage drivers during the summer season.